2. Go to the top right corner and click on the V-like shape icon and a drop-down menu will appear. 5. Navigate to Get alerts about unrecognized logins and select Edit. 6. Next, you'll need to choose where you want to receive your alerts, such as from your email account or with a Facebook notification from a recognized device. 7. Finally, select Save Changes. - When you receive a login alert, you can tell Facebook if you recognize the login activity by clicking or tapping This was me. - If you don't recognize the login activity, click or tap This wasn't me and Facebook will help you reset your password and secure your account. - You can save a device or browser to your list of trusted browsers or recognized devices. This way, you won't get alerts about the computer or mobile device you usually use to log into Facebook. Make sure you don't choose this option if you're using a public computer (such as one in a library or cafe). Interestingly, Facebook has a feature known as "one-time password" that allows its users to access their account without using their real password. This feature aids in improving the security of users account since they can use that when they feel uncomfortable entering their real password on Facebook (such as in a library or Internet cafe). Before we proceed to how this one-time password of a thing works, bear in mind that this Facebook feature does not work if you enable a two-factor authentification. Secondly, you're expected to note that as the name implies; one-time password, you can use the password only once. - If you're in the US, send a text message (SMS) to 32665 with the message OTP. If you're not in the US, check this list to see which mobile carriers support this feature and what number you should use. - If your mobile number is already linked to your Facebook account, Facebook will reply with a unique, 6-character temporary password. If you haven't added this mobile number to your account, Facebook will send you an email with instructions on how to add it and collect your code. - Once you get your code, just enter it in the Password section of the Facebook login page. 2. Navigate to the top right corner and click the small triangular shape icon to initiate a drop-down menu. 4. Click on the option that says Lost your phone? 5. Finally, select Logout on phone and you're done. You can make your trusted contacts to help improve the security of your Facebook account. To set up your trusted contacts, you'll need to choose your friends that you can reach out to whenever you're locked out of Facebook. Interestingly, after you've chosen your friends, they'll be able to send you a recovery code with a "special URL" you can use to get back into your account. 5. Click Choose friends and follow the on-screen instructions. Note that after you've chosen your trusted contacts, you can always click Edit to change or remove the friends you've chosen. 2. Click Forgot account? on the login page. 3. If prompted, find your account by entering your email, phone, username or full name and click Search. 4. Look at the list of email addresses listed on your account. If you don't have access to any of these, click No longer have access to these? 5. Enter a new email or phone that you know you can access and click Continue. 6. Click Reveal My Trusted Contacts and type the full name of one of your trusted contacts. 7. You'll see a set of instructions that includes a special URL. The URL contains a recovery code that only your trusted contacts can access. 8. Call your friends and give them the URL so that they can open the link and give the security code to you. 9. Use the recovery codes from your trusted contacts to access your account. 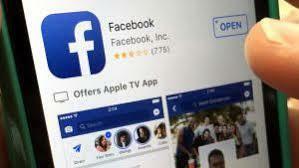 Another Facebook feature that you need to enable to help secure your Facebook account is what is known as a two-factor authentification. This feature is a very important factor that helps in improving the security of any Facebook account that is using it. To enable two-factor authentification, click here. According to the Facebook Help Center, app passwords are one-time passwords you can use to log into your apps while keeping your personal Facebook password secure. If you have two-factor authentication turned on, you won't have to wait to receive a code when you use an app password. Instead, you can skip the authentication step and log in immediately. 4. Click Security and Login. 5. Scroll down to Use two-factor authentication and click Edit. 6. Go to App Passwords and click Generate. 5. Go to the section Where You're Logged In. You may have to click See More to see all of the sessions where you're logged in. 6. Find the session you want to end. Click and then click Log Out.